Myth: No one will break into my home. Reality:Â Burglars can target any home anywhere, and they’re seeking unprotected targets like yours. In 2011, the FBI reported more than 1.5 million residential burglaries, an average of more than one a minute. Myth. Security systems cost too much. 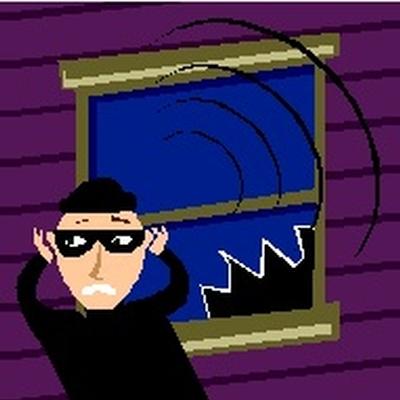 Reality:Â According to the FBI, burglaries cost victims an average of $2,185 in 2011. A security system that costs $50 a month (a mid-range figure for most systems) can provide more than three and a half years of protection for the money and valuables you might lose in a home burglary, not to mention helping ensure your peace of mind. Reality:Â Many home security systems are pet friendly, designed to distinguish between pets and intruder. Reality:Â Because insurance companies can save a ton of money when policyholders use quality alarm systems (which reduce the chances of burglary claims significantly) they offer these customers a sizeable discount on homeowners coverage. You can use these savings to offset the cost of your system. Reality:Â Insurance can’t bring back irreplaceable items, such as family heirlooms or other valuables, which a home security system can help protect. What’s more, many people don’t want to deal with filing a claim and receiving an insurance settlement. For more information on the benefits that alarm systems can provide, feel free to get in touch with Tracy-Driscoll at (860)-589-3434.